Monday, October 9: Benjamin Mitchell , 22 was killed at approximately 9 p.m.
Wednesday, October 11: Monica Hoffa , 32, was shot. Her body was found on October 13. Thursday, October 19: Anthony Naiboa , 20, was shot at approximately 8 p.m.
Tuesday, November 14: Ronald Felton , 60, was shot at approximately 4:51 a.m.
Tuesday, November 28: Howell Emanuel Donaldson III was arrested and charged with each of the murders. TAMPA, Fla. — Tampa Police have released arrest documents that reveal key evidence that led to the arrest of the man they say shot and killed four people since October in Seminole Heights. 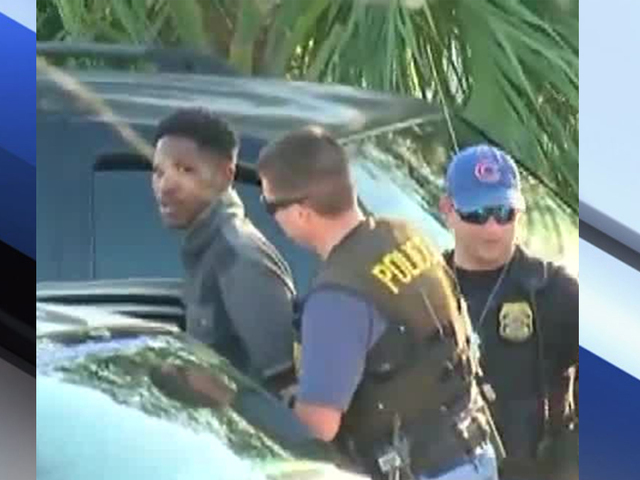 A tip about a man with a gun at a McDonald's in Ybor City, ultimately led Tampa police to 24-year-old Howell Emanuel Donaldson III, also know as "Trai," on Tuesday afternoon. Who is Howell Emanuel Donaldson III? Detectives questioned Donaldson at Tampa Police headquarters on Tuesday evening. The arrest affidavit says that Donaldson gave consent to conduct a search of his car and cell phone as well as permission to examine his firearm at the F.D.L.E. laboratory. Evidence from the search of his vehicle, examination of the firearm and cell phone records ultimately led police to charge Donaldson. Police arrested Donaldson and charged him with four counts of First-Degree murder in connection to the murders of Benjamin Mitchell , Monica Hoffa , Anthony Naiboa and Ronald Felton . Police held a news conference on Tuesday night to announce the arrest. "I am pleased to announce that tonight we will be making an arrest in the Seminole Heights murders," said Tampa Police Chief Brian Dugan. "Our detectives are currently working on the charging documents and we will be charging four counts first-degree murder for Howell Emanuel Donaldson, III." Tampa Mayor Bob Buckhorn stood by Dugan as they announced the arrest. Arrest documents state that around 2:38 p.m. on Tuesday, a witness approached a Tampa Police officer while the officer was at the McDonald's in Ybor City. The witness told the officer that an employee, 24-year-old Howell Emanuel Donaldson III, handed the witness a McDonald's food bag with a gun in it. Tampa Police officers checked the bag's contents and found a .40 caliber Glock firearm loaded with SIG brand Smith and Wesson ammunition. The witness told police that Donaldson expressed his intention to leave the state. Donaldson was an employee at the same McDonald's. He had since departed the restaurant, prior to the firearm's discovery, and returned shortly thereafter. When he returned, Tampa police detained him for questioning. ABC Action News got exclusive video when Donaldson was taken into custody on Tuesday. Donaldson was questioned for hours at Tampa Police Headquarters and later arrested. Donaldson agreed to meet at Police Headquarters to provide a statement regarding the firearm. When he spoke with police, they repeatedly told him that he had the right to leave and/or end the conversation. The arrest affidavit says that Donaldson gave consent to conduct a search of his car and cell phone as well as permission to examine his firearm at the F.D.L.E. laboratory. Police say that Donaldson admitted to buying the Glock firearm and ammunition from Shooter's World on Fletcher Avenue in September. Donaldson further attested to the fact that no one, except for himself, had control of the Glock firearm since he purchased it. Donaldson told police that he was unfamiliar with the Seminole Heights neighborhood, and did not have any association with anyone in the area, according to the arrest affidavit. When police searched Donaldson's cell phone, it revealed storage of location data, known as "significant locations," which police say revealed an address in the 1300 block of East Frierson Avenue. The location data indicated only three days of recorded times and activities. October 9, 2017: Between 8:47 and 9:02 p.m.
October 11, 2017: Between 8:18 and 8:42 p.m.
October 19, 2017: Between 7:51 and 7:58 p.m.
During the ongoing investigation related to the pattern of the homicides, call detail records were obtained from AT&T. The records showed that within minutes of the murders on October 9, October 11, and October 19, Davidson's cell phone was geographically associated with the AT&T cell tower providing coverage for the areas that include all the homicide locations. Detectives were later seen collecting evidence from the red Ford Mustang, believed to belong to Donaldson, parked in the McDonald's parking lot. Shortly before 10:00 p.m., we were on the scene as Tampa PD took the car into evidence. 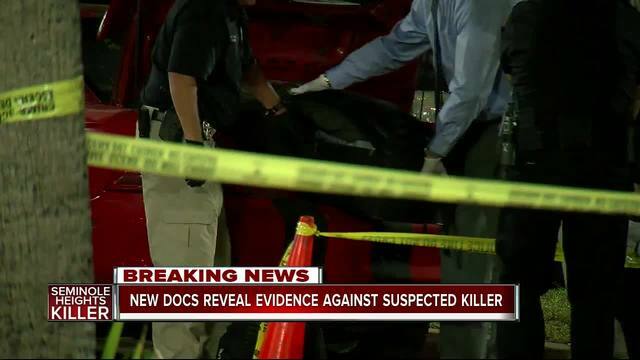 When police searched Donaldson's car, they found clothing that looked similar to the clothes worn by the subject captured in surveillance video the night Benjamin Mitchell was murdered. The arrest affidavit states that police saw what appeared to be a blood stain on an article of clothing. The F.D.L.E. comparison of the Clock firearm to the cartridge casings revealed that the cartridge casings, which were recovered in the first three murders, were fired in the Glock firearm. The casings in the fourth murder were unavailable for comparison but had been previously identified as being fired in the same firearm as the three. The Glock firearm, as recovered, was loaded with a magazine, which contained five unfired rounds of SIG brand Smith and Wesson .40 caliber ammunition. Investigation into the firearm's purchase revealed that Donaldson purchased the firearm on October 3, 2017, and he picked it up on October 7. His purchase was in accordance with the mandatory wait period, which requires three days between purchase and delivery of a firearm, according to the Florida Constitution. Receipts of purchased further revealed that Donaldson purchased a 20-round box of SIG brand Smith and Wesson ammunition on October 7. Seminole Heights residents also shared with reporter Ryan Smith that they are thankful an arrest was made. After police read Donaldson his Miranda rights, the confronted him with the evidence asking for an explanation. Donaldson did not give an explanation and asked for the presence of an attorney.